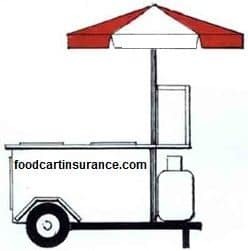 Texas Food Trucks and Texas Food Carts shopping for general liability insurance should contact Stratum Insurance Agency LLC . Stratum Insurance Agency is announcing electronic signatures and applications for Texas food truck insurance and food cart insurance. Same Day quotes are already available, but this new service will help customers even more (and the environment too). Faster turn around time from quoting to purchasing helps business owners with limited time who want to receive the same service as some of the larger competitors. Stratum’s goal is to help the mobile food industry with their insurance needs, quickly and efficiently. From hot dog carts, to gourmet shaved ice, to food trucks, the team at Stratum is committed to helping small businesses, whether mobile, office-based or retail-based. Same day quotes are available in over 40 states. We work with different insurance carriers to help you find the type of policy that you are seeking. Stratum’s broad product offerings make it so that different mobile food vendors have a variety of coverage options and limits from which they can choose. Applications can be signed electronically (via e-signature) offering the ability to quote and purchase in the same day. Coverage options and availability vary by location. Request a quote today from Stratum Insurance Agency LLC and see what it is like to have our team work with you. Great service makes us different. We can help small businesses that are as small as one owner. As you grow, we will build our relationship. Disclaimers: No coverage is issued through this electronic posting. *These are generic minimal definitions, please consult your insurance agent and policy documents for more information. Coverages, options, and policy forms may vary by location and carrier.